Kelowna and West Kelowna offer more than 30 beaches perfect for a family swim and picnic. The water is clear enough that goggles, masks and snorkels will reveal a whole new world. Bring along buckets and shovels and create a sand castle to watch over your afternoon kingdom. Sunscreen and shelter is encouraged. The reward for a climb to the top of Knox Mountain is an incredible vista that includes Okanagan Lake, downtown Kelowna and sky and mountains that seems to go on forever. Yeah, we understand the big kids are going to grumble about a long hike, so relax—you can drive most of the way to the top, grab the picnic basket and walk five minutes to the viewpoint. A bonus: the whole route is smartphone friendly—which means the teens can keep their friends in on all the fun they’re not having. 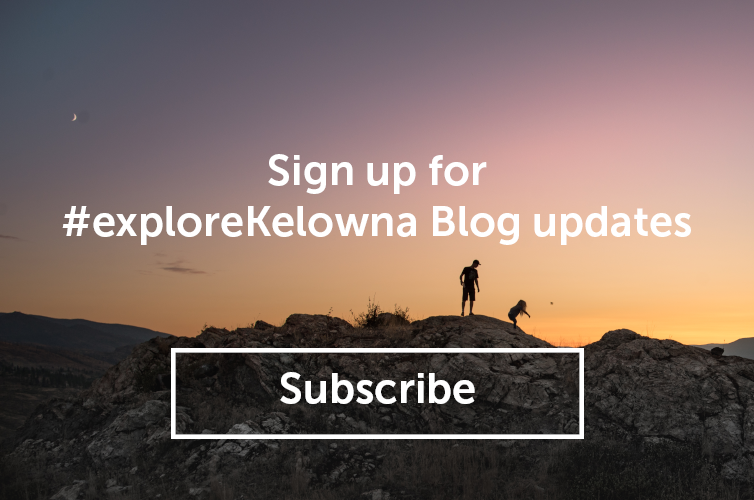 Kelowna is a bike-friendly community, complete with more than 300 kilometres of on-street cycling lanes and 40 kilometres of separated paved multi-use trails. Bring your own bikes or rent them. And make sure to check out Google maps: Kelowna was one of six Canadian cities to go live with Google Bike Routes in December 2010. It’s a given: everyone loves a game of mini golf – especially the younger kids who can score an ace even as mom and dad struggle with the windmill. Visit 19 Greens Putt & Play Zone – just across the William R. Bennett Bridge in West Kelowna – for a challenging game of mini golf on either natural grass or Astroturf. 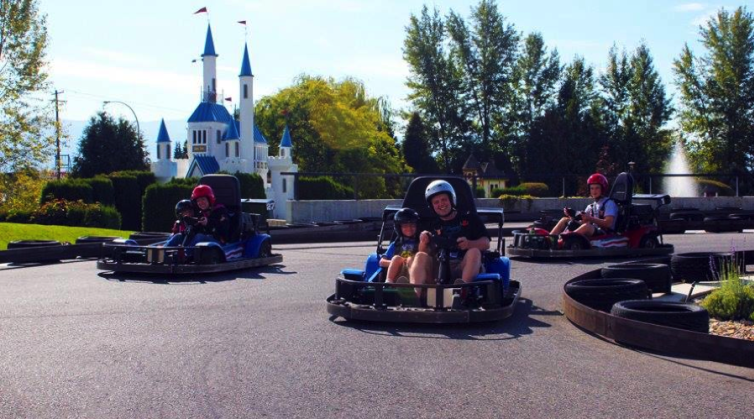 In Kelowna, stop at Scandia Golf and Games and add an arcade, bumper cars and a batting cage to the fun. Even though it’s good to escape the sun every once in a while, keeping the water fun going is a necessity. Check out the H20 Adventure and Fitness Centre, which offers a wave pool, water slides, a surf simulator and river run and more than a million gallons of water in several pools. The Central Okanagan is an agricultural paradise and we’re always keen to share the experience. For a farm animal petting zoo, check out Hoof Prints Barnyard. Your wee ones can get face-to-face with very friendly miniature horses and donkeys, goats, pot belly pigs, sheep, an alpaca, bunnies, speciality chickens and ducks. 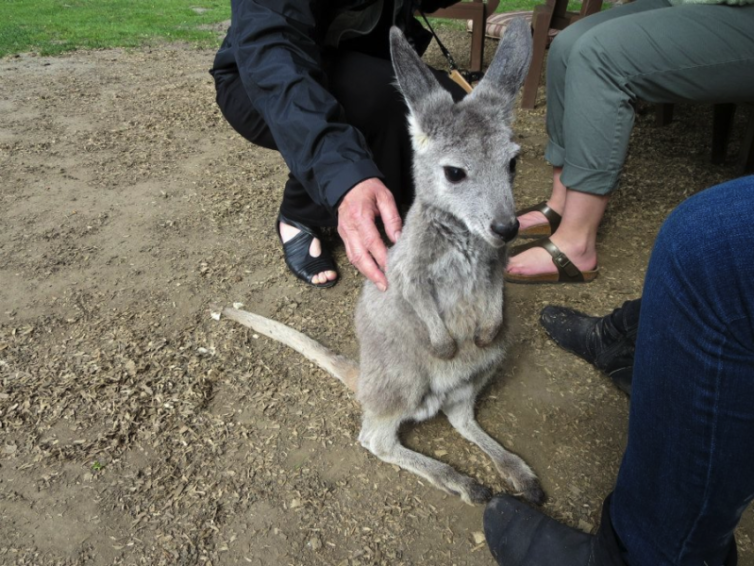 You can also take the kids &apos;Down Under&apos; at Lake Country’s Kangaroo Creek farm – yes, you can pet the ’roos and even hand feed a baby Joey – or hang with the birds at the Parrot Island Sanctuary in Peachland, a home for rescued exotic birds. If bees are the knees in your home, make sure to include a stop at Arlo’s Honey Farm. Arlo’s offer a pre-reserved educational tour that explores the honey bee&apos;s life and an up close and personal visit with a working hive. Of course, honey is available for sale and you can also pick up soaps, candles, books and skin care products. What’s a family playground without a playground? 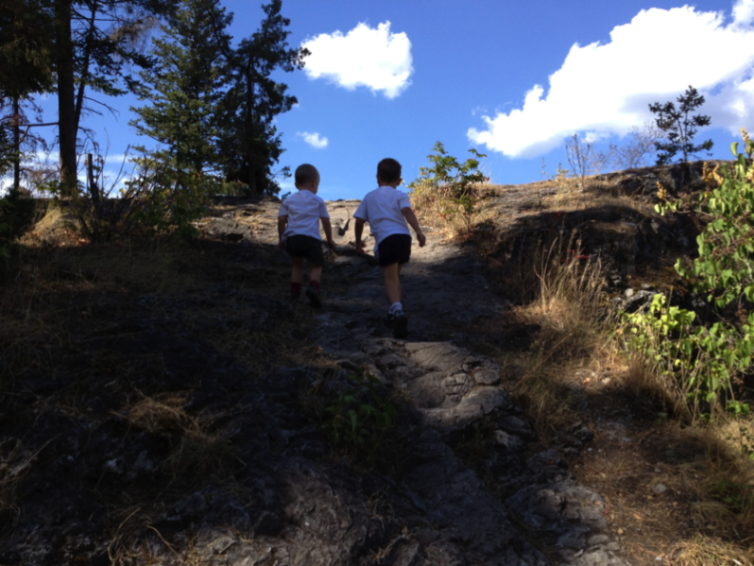 The Okanagan offers plenty of family adventure parks that will challenge mom and dad while the kids shine. Indoors, the Energyplex includes a four-storey jungle gym, trampolines, bounce boards and a rock wall. Outdoors, check out Myra Canyon and Wild Play adventure parks. Both offer aerial adventures, complete with ropes, obstacles and more fun than a barrel of monkeys. Safari Ridge in West Kelowna delivers more down-to-earth fun with themed paintball and laser tag specially designed for teens. 9. Zip it. Zip it good. Let loose a primal scream as you race downhill with just a harness and hook keeping you from utter disaster. Oyama Ziplines north of Kelowna delivers a seven-station zipline course and stunning views from each of the towers. 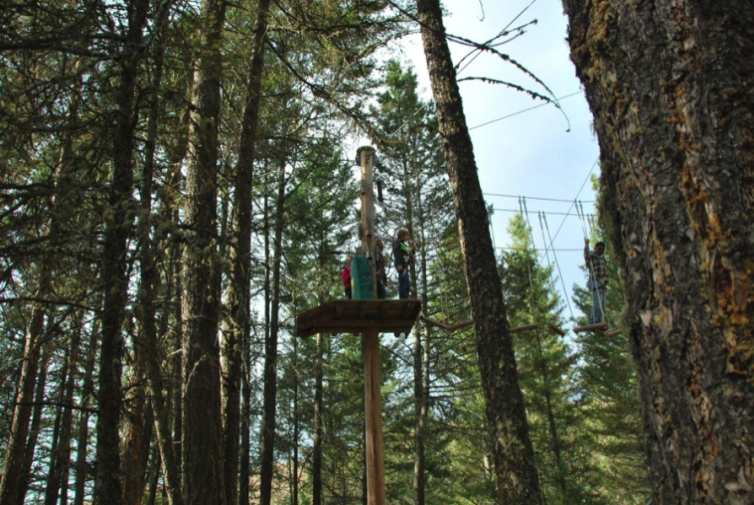 South of Kelowna, the Zipzone Adventure Park carries you almost 400 feet above Deep Creek Canyon. 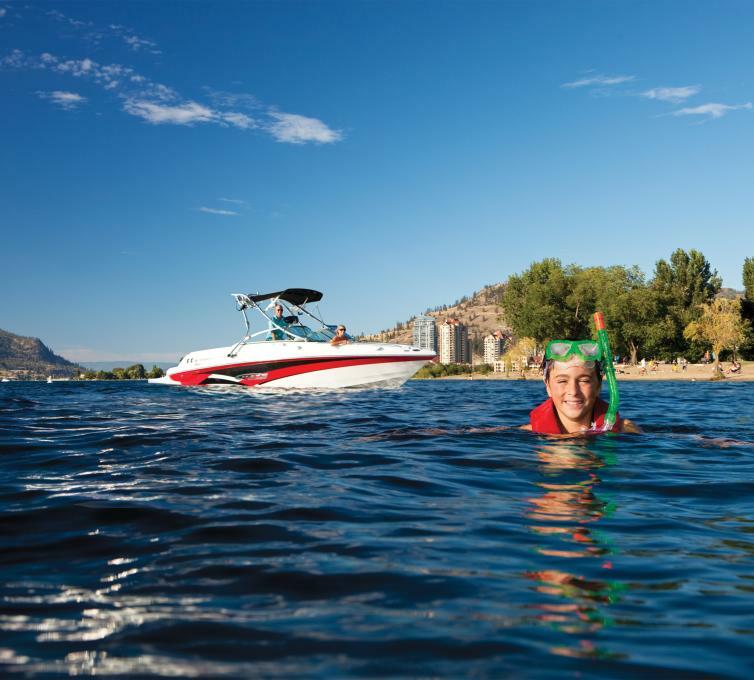 Make the most of your Okanagan adventure by getting out on the crown jewel of the valley – Okanagan Lake. Access to a boat opens up more secluded parts of the lake, including some quiet beaches and scenic spots to just float. Powerboats are available for rent by the hour, day and even by the week at Downtown Marina, Eldorado Marina, Dockside Marina, or many of the various locations around the lake. You can also contract sailboat tours and fishing adventures.